Why is Bremerton ferry ridership swelling? For the past few years, I’ve been keeping a close eye on the ridership numbers for the Bremerton-Seattle ferry run. And the latest numbers out of the state ferry system, I must say, are intriguing. 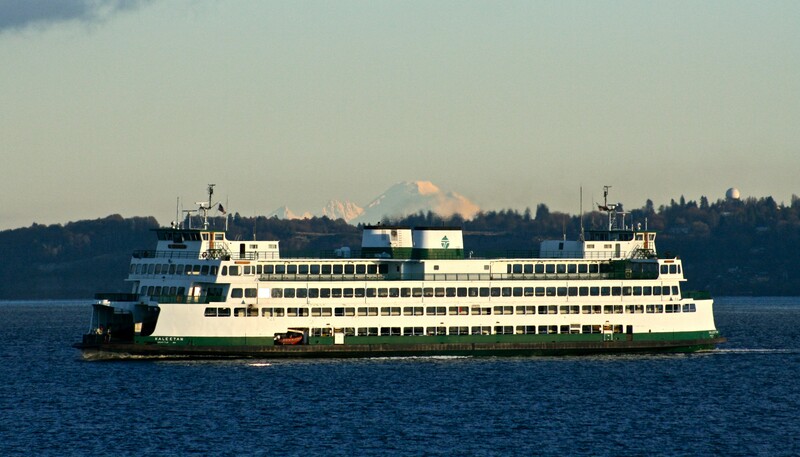 UPDATE, 1.14.16: What we know: ridership grew about 14 percent between 2013 and 2015, with close to 2.7 million riding in the latest year, according to state ferries’ statistics. To quantify that, it means 366,425 more people rode the Bremerton route in 2015 than did in 2013. Bremerton’s outpacing the overall growth of the system, whose ridership rose 5 percent in the same period. So what gives? A statistical anomaly or something permanent? I asked Raymond Deardorf, planning director for the Washington State Ferries, for his thoughts. He mentioned the economy plays a role in the whole system, and it doesn’t hurt to have the Seahawks in Seattle. It’s the economy, stupid: we know that the Great Recession is over. So more people could be riding as the Puget Sound Naval Shipyard’s employment near 13,000. Ridership earlier this decade has reached 2.5 million before. And, unless you’ve been living under a rock, you know Seattle’s economy really couldn’t get much hotter. But the economic changes should affect all ferry runs and the system as a whole isn’t growing as fast as Bremerton’s. Nimitz Arrival: In January 2015, a second aircraft carrier arrived in Bremerton, bringing about 3,000 sailors and their families to the Kitsap peninsula. It will be here through at least 2018. The Seahawk effect: Yep, we’ve got one heck of a football team in the Pacific Northwest, don’t we? They’ve been packing the ferries for each home game. That might result in some higher numbers but remember that the vessels only hold between 1,200 and 2,000 passengers. That would explain a little jump but also remember the Seahawks have been packing them in for more than a few years now. On a related note, the Mariners’ potential of late has more people going to Safeco (notice I said “potential”) which could be helping the uptick. Avoiding 305: There’s an imaginary line through Kitsap County where Seattle commuters who live here make a choice to go to either Bremerton’s ferry terminal or Bainbridge. We can debate where that line is but I think it’s moving north, with more commuters choosing Bremerton over Bainbridge. Why? The nightmare each day on Highway 305 as Bainbridge’s ferries arrive in Winslow. Trying to drive off the island during the commuting hours is just brutal. While Bainbridge has more ferry runs and a shorter crossing time than Bremerton, Highway 305 congestion could be bumping some riders to the latter run. Case in point: While Bremerton’s run grew almost nine percent in the first quarter of 2015 compared to last, Bainbridge’s actually fell a half-percent. 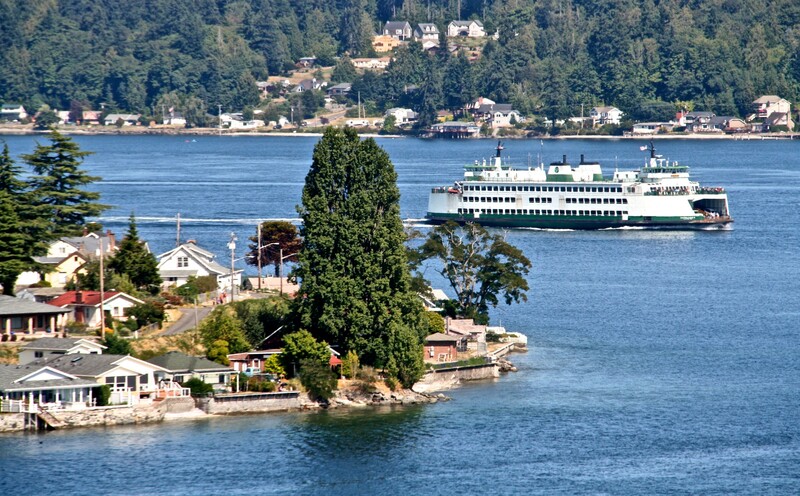 After posting this on Facebook, many readers argue that the state ferry system has been more accurately counting customers heading to Bremerton. It’s no secret that many of us have returned to Bremerton over the years only to find the ticket booth attendant had registered our car to the Bainbridge route. I thought not only about the northern commute but the southern one as well, in which many ferry over to Seattle and then drive back around via the Tacoma Narrows Bridge. But I can’t see how that is changing ridership, especially with so much of the Seattle waterfront torn up and under construction right now. I’d encourage you to check out the numbers for yourself and weigh in on my hypotheses. And feel free to add some of your own. It costs more to live and work in Seattle, just as it cost more to live in Seattle and work in Bremerton. More of the folks in the former category are catching on. These statistics are bogus. Is this just auto traffic? If not, how do they count the trips by walk-on passengers embarking to Seattle from Bremerton? The guy at the door clicking his counter for a head count? Hardly a reliable statistic. Using the Seahawks as a barometer is bogus, as well. In the fourth quarter, you could state they increase the numbers. But for the past two years, they have added 2 games in the first quarter each year. That’s 2 days. Even on a Sunday, the increased ridership for two days would hardly account for the spike noted. Mariners attendance hasn’t drastically changed. Another bogus theory. To put it simply, there are just more people riding it, and nobody can accurately state why. To do so, a very thorough polling of riders would need to take place over a period of time. Break down the numbers. Hours and days of ridership. I’m sure WSF could do that. It would really show when the ridership increased, and that show more trends rather than simply using a 3-month block of ridership numbers. I’d encourage you to take a look at the stats at the state ferries’ web site (links above). I’d agree with you that it’s difficult, if not impossible, to say why. But I’d put the most stock in the economy, as there’s a clear dip in ridership during the recession that’s now gone, and anecdotally, I’ve talked to a number of new commuters who live here and work in Seattle. As far as cars versus pedestrians, WSF does indeed break that down. And while you and I may question the accuracy of those clickers, that’s just the way they do it. We’ve got no other source of data. No doubt it’s the economy that causes the rise in ridership, both for commute as well as discretionary trips. The link shows quarterly ridership. If they took the numbers and broke it down by runs on particular days of the week, though, you could likely discern more about how much each effect is having. Seeing a 25% increase in same-quarter 0-14′ full fare vehicle traffic sounds impressive until you realize it’s 1600 vehicles in 90 days, which is about 18 vehicles a day, which is less than one additional car per trip (30 sailings a day, 15 each way). 6,000 total vehicles (same-quarter 2014/2015) over 90 days is just under 70 vehicles per day, or basically, 2.5 vehicles/trip. Hardly earth-shattering numbers. 45,000 more passengers is equivalent to 30+ people per trip, if you only count the paying direction (Seattle to Bremerton, actual ticket sales). Do those numbers include the free direction? Very true — glad to see you dissected the numbers. I will be curious to see if the uptick continues. Oh, and they do count passengers with the clickers even on the free side. Chuck, lighten up. You sound way too angry. You must have a beef involved here or something. We live here because it is an incredible place to live. Look around you. It’s awesome. Some have been overheard to openly praise the new gourmet foods offered on the Bremerton run. Others think it is the newly decorated interior of the ferries, with the new Native American decor. Some even praise the noteworthy crews who have chosen to work on the Bremerton run. I for one actually believe ridership has increased due to the excellent paint job of the car deck. The bright lines contrast well with the Grey nonskid. Definitely it’s the paint job. I think more accurate accounting of destination is a factor, but ridership IS going up. I have to leave home 15 minutes earlier than just a year or two ago if I don’t want to get left on the pier when the 6:20 departs for Seattle. Since ridership is going up, the cost should not. The increased revenue should make a rate hike unnecessary. I love taking the ferry between Seattle and Bremerton and I think it is the best commute in the country but it is becoming cost prohibitive for taking my family along. I am frustrated to see increases on the horizon for both the ferry service and the toll at the Narrows. Just what we’ve always assumed. More people aren’t visiting Bremerton, WSJ is just getting better at counting the people who are visiting Bremerton. The real question, Mr. Farley, is why are people traveling to Bremerton? I can only tell you why I prefer riding the ferry. Gas is expensive ( add in the wear and tear + traffic frustration) getting to and from Seattle. It is much more relaxing and calming to take the ferry ( takes about the same time as driving). The public transportation ( or my feet) take me to the places I need to go when I get into Seattle, so why drive. The main reason, its like taking a cruise everyday. Sit back, sleep, eat,watch for wildlife, look at the houses, and see the entire Seattle skyline. 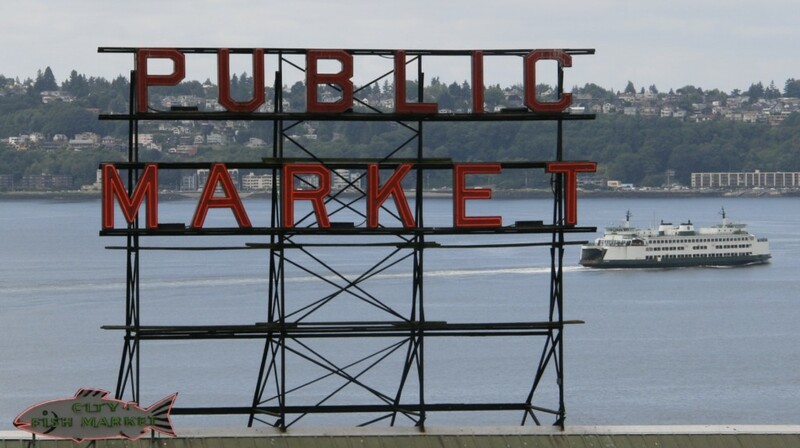 To me, there is no other way to take visitors, or conduct business in Seattle. I just wish the Kitsap Bus service would time the busses better when the ferry arrives (they seem to leave 5 min before the ferry arrives) , so you dont have to wait about 1 hour for the next bus ( hear that bus 24!!!). Parking restrictions at PSNS and aircraft carrier work. When a carrier comes in for an availability the whole place gets insanely crowded and unpleasant. Parking and gate nonsense all combine to make not-driving the way to go. Oh, and y’all keep over-reproducing. More butts in more seats (and everyone seems to be driving an F350 diesel to carry themselves to work, alone) which makes it more unpleasant for everyone. All these calls for further breakdown of ridership and time of day etc..etc. etc…. Would necessitate a couple of auditors and a tech to maintain the database. None of which would make the boats run more efficiently but only seem to feed the cranks who are suspicious of anything the State does. Has anybody priced housing in Seattle lately? Even with the price of boat rides Kitsap County is a good deal. Expect more commuters moving in along with families and school aged children.